Allergy Doctor of King of Prussia - Allergy & Asthma Specialists - Page 29 of 29 - Allergy & Asthma Specialists has trained professionals to help alleviate your symptoms. Call King of Prussia allergy specialist at (610) 825-5800. If you have a cough that will not go away. All the allergists at Allergy & Asthma Specialists are highly experienced in evaluating and treating chronic cough. 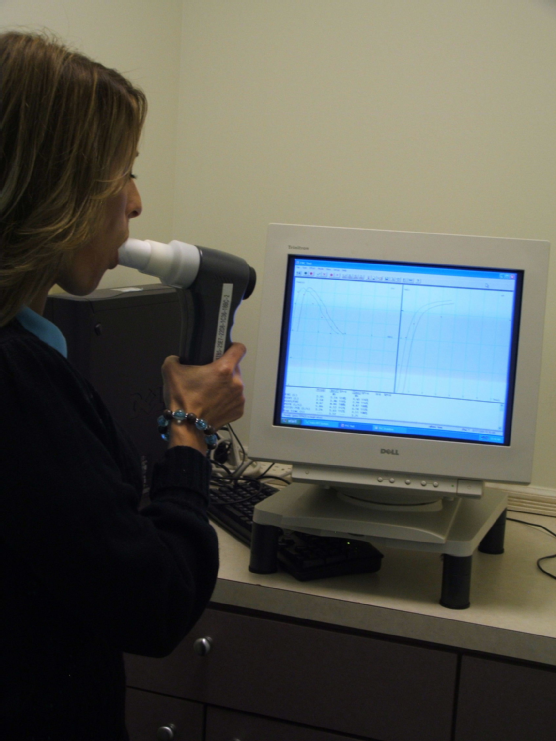 State of the art computerized pulmonary function testing is available at all locations. If you experience exercise induced coughing or shortness of breath. Experiencing symptoms of a cold for more than two weeks. To confirm the diagnosis of allergies or asthma. To define the potential triggers of your allergic symptoms or asthma. At Allergy & Asthma SpecialistsSM the standard allergy skin testing regime involves skin testing for 48 allergens using a needleless method with results available in 20 minutes. If you have had an allergic reaction caused by food, insect sting, or medication . Food allergy testing & food challenges in a medically supervised environment are a practice specialty. 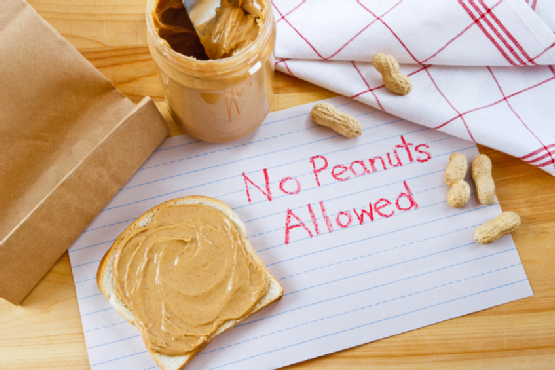 Under the supervision of an allergist, sometimes in the well controlled environment of a hospital, we can safely determine if a patient needs to continue food restrictions. To decrease the need for daily medications to treat allergies and/or asthma. Your allergies and/or asthma are interfering with your ability to fulfill your activities of daily living. You are experiencing the warning signs of asthma, such as shortness of breath; wheezing or coughing often, especially at night or after exercise; or experiencing tightness in your chest. Antihistamines, decongestants and/or over-the-counter medications do not control your allergy symptoms, or create unacceptable side effects, such as drowsiness or nervousness. Suffering from more than three ear, sinus, throat, or lung infections in a year. Our allergy doctors are board certified to treat recurrent infections and immunological deficiencies. When there is an increase of allergy symptoms after the introduction of a new pet to the home. An infant or child has eczema, also known as atopic dermatitis. In children, atopic dermatitis is often the first step in a progression of diseases. Infants who present with atopic dermatitis may progress to allergic rhinitis by 18 months old and, if left untreated, may progress to asthma by four years old. Allergic rashes such as hives, and contact sensitivities. Allergy & Asthma SpecialistsSM provides treatment for patients of all ages with allergies, asthma, rashes, congestion and recurrent infections. If you live in the greater King of Prussia or Philadelphia region and suffer from allergies or asthma, our board certified allergy doctors and immunologists can help. Call us at (800) 86-COUGH to learn more or to schedule an appointment at one of our eight convenient locations. WRONG. The staff of Allergy & Asthma Specialists uses sterile plastic applicators to apply dozens of skin tests in a minute or two. No needles are used for most skin testing and there is no blood at the contact site. There is a twenty minute waiting period for the reaction to occur. The reaction consists of a hive that is measured to determine if the patient has specific allergies. WRONG. Infants can be effectively skin tested as young as two to three months old. WRONG. You do not need to be experiencing any allergy symptoms at the time of your testing. In fact, if you are a seasonal allergy sufferer for whom the doctor recommends immunotherapy (allergy extract), it is wise to start your immunotherapy six months before your most symptomatic time of year. This way, the allergy extract will have time to be effective before the next allergy season. WRONG. Allergy & Asthma Specialists, PC offers two types of immunotherapy. Traditional allergy extract administered by injections and sublingual extract (SLIT) administered by placing drops under your tongue. WRONG. Kids really do outgrow food allergies. However, parents are often unsure if a forbidden food can be reintroduced into a child’s diet. FOOD ALLERGY TESTING AND FOOD CHALLENGES in a medically supervised environment are a practice specialty. Under the supervision of a board certified allergist, we can safely determine if your child needs to continue food restrictions. WRONG. Eczema or Atopic Dermatitis is one of the most common skin disorders seen in infants and children. Eczema is considered the beginning phase of a natural progression to other allergic diseases. Two- thirds of children with eczema develop allergic rhinitis. One half of children with eczema will go on to develop asthma. Fortunately, research indicates that early treatment of eczema may decrease the risk for developing asthma. The first step in the development of an effective treatment plan is to have the child evaluated by an allergist in order to identify potential eczema triggers. What Is Immunotherapy and Is It Right for You? Medications such as antihistamines and decongestants can treat only allergy symptoms such as runny nose, cough, itchy eyes, sinus congestion, headaches or asthma. For more effective relief, an allergy doctor prescribes immunotherapy to allergy sufferers. Immunotherapy treats the underlying cause of the allergic reaction and is the only available treatment that can effectively result in the elimination or reduction of allergic disease. When you have allergies, your immune system reacts to allergens such as pollen, dust mites or food with an inflammatory response resulting in congestion, cough, itchy eyes, or asthma. Immunotherapy works by gradually introducing the allergen to your body and desensitizing the immune system. Overtime, this gradual introduction of allergens helps your immune system build up its own natural immunity, safely and effectively, making you much less allergic. The first step in the immunotherapy process is to determine exactly what triggers your allergic symptoms. Triggers can include allergens such as pollen from specific types of grasses, trees, or weeds, molds, dust mites or foods. An allergy doctor will conduct allergy skin testing. At Allergy & Asthma SpecialistsSM the standard allergy skin testing regime involves skin testing for 48 allergens using a needleless method with results available in 20 minutes. Once the allergy triggers are identified, the allergy doctor develops a personalized prescription to begin immunotherapy. The prescription consists of carefully calculated doses of allergy extracts. Allergy extracts are scientifically produced allergen substances that are approved by the FDA for injection purposes. The allergy extract prescription will then be prepared for administration in one of two ways, subcutaneous (allergy shots) or sublingual (allergy drops) immunotherapy. The allergy extract is then administered in small doses over an extended period of time. The doses gradually increase in potency, training your immune system to NOT react to the allergen with an inflammatory response. The patient will suffer from fewer and less severe allergy symptoms. 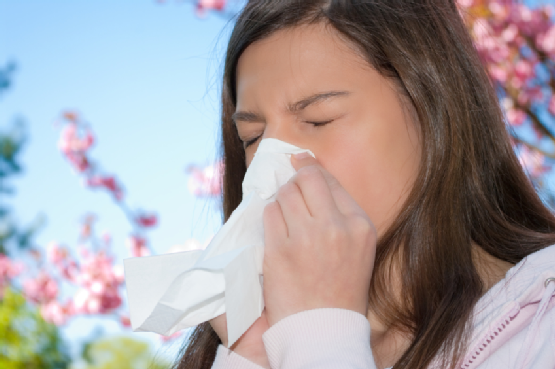 The majority of allergy sufferers experience no ill side effects from immunotherapy. With allergy injections, on occasion, a patient may have minimal redness or swelling at the injection site. Some individuals will notice a brief increase in nasal congestion or sneezing immediately after treatment. There is also a very small risk of an anaphylactic reaction. However, each injection is followed by a 30 minute observational period to monitor for an adverse reaction to the injection. Sublingual immunotherapy or allergy drops are administered at home. Some patients experience tingling under their tongues for a short time after administration. There is no risk of an adverse reaction with sublingual immunotherapy. Anyone who has allergies is a potential candidate for immunotherapy. However, only a board certified allergy doctor can determine if you qualify for treatment. If you suffer year after year with allergy symptoms and allergy medications such as antihistamines and decongestants are not helping, contact your allergy doctor today to discuss immunotherapy. Allergy & Asthma SpecialistsSM provides safe and effective immunotherapy treatment for patients with allergies. If you live in the greater King of Prussia or Philadelphia region and suffer from allergies or asthma, our board certified allergy doctors and immunologists can help. Call us at (800) 86-COUGH to learn more or to schedule an appointment at one of our eight convenient locations. Though many people may suffer from food intolerance, far fewer have food allergies. The National Institute of Allergy and Infectious Disease states that only about two to three percent of all adults and six to eight percent of children have true food allergies. Though food intolerance and food allergies share many of the same symptoms, only food allergies stem from an autoimmune response. Most food allergy symptoms show within minutes of consumption. For many people with food allergies, symptoms are mild and non-life-threatening. However, it is vital that an allergy doctor properly diagnose a person’s food allergies, as exposure to some common food triggers can cause significant bodily harm and even death. Though any food has the potential to be an allergy trigger, the following items constitute the eight most common foods that can produce an allergic reaction : milk, eggs, peanuts, tree nuts, fish, shellfish, soy, and wheat. When a person who is allergic to one of these foods inadvertently ingests it, the most typical reaction is itchiness in the mouth or breathing and swallowing problems. As the food reaches the stomach and intestines, the person may experience symptoms such as vomiting, diarrhea, nausea, and abdominal pain. In some individuals, hives or eczema will develop once the food allergens enter the bloodstream and reach the skin. As those allergens continue to move through the bloodstream, a person may begin to feel weak or lightheaded. In rare cases, he or she will go into anaphylactic shock, a sudden and severe drop in blood pressure. This reaction is potentially fatal, which is why allergy testing by a qualified allergy doctor is necessary to avoid such serious situations. Allergy & Asthma Specialists, P.C. offers patients precise and reliable allergy testing and asthma screening services. If you live in the greater King of Prussia or Philadelphia region and suspect that you may have food allergies, contact any one of our eight convenient locations. To learn more about our treatment methods, or to schedule an appointment, please call 1 (800)86-COUGH. 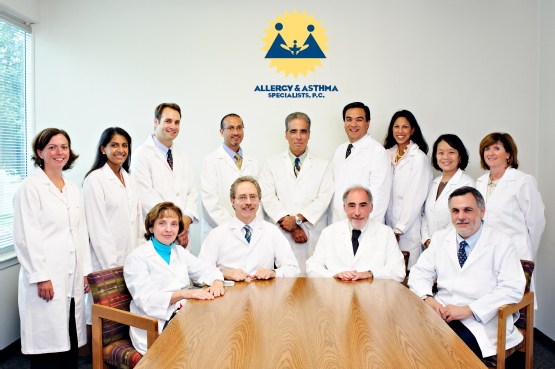 Welcome to the Allergy & Asthma Specialists Blog! We would like to thank you for checking out our blog site! Keep up with this page for helpful allergy and asthma information.